The New York Songwriter’s Circle was the brain child of the late Ken Gorka (owner of the historic Bitter End club in NYC West Village). 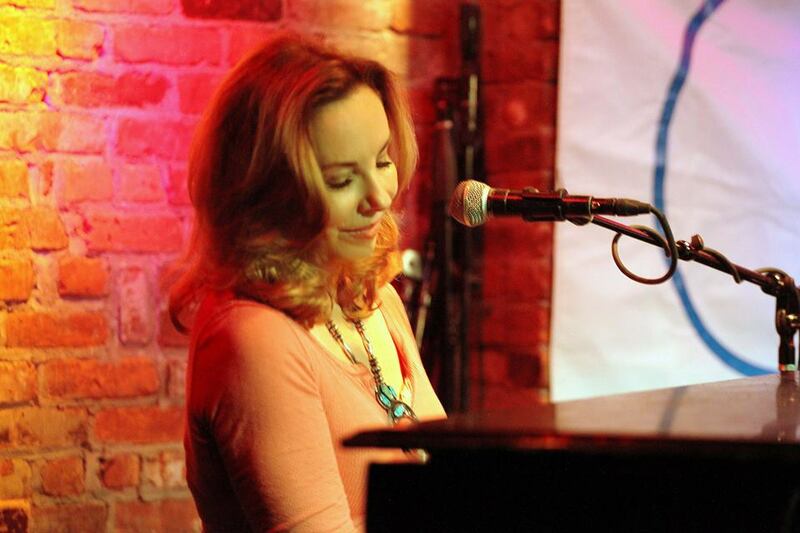 Singer Songwriter/vocal coach Tina Shafer, started hosting and booking the New York Songwriterʼs Circle in 1991. The Songwriters Circle has been home to some of best artists of the last three decades including Grammy Winner- Norah Jones, George David Weiss, Lisa Loeb, multi-awarded -Steven Dorff, Judy Collins, Phoebe Snow, Rob Mathes, Peter Zizzo, Albert Hammond, The Story, Grammy Winner-Jesse Harris, Siedah Garrett (Michael Jackson), Gary Burr, BMI SongOf The Year Winner-Hugh Prestwood, Marcus Hummon, Kevin Bents, Big and Rich, Vanessa Carlton, Gavin DeGraw and Lana Del Rey, Ian Axel and John Schmitt, to name a few…later she incorporated the famous “Young Performer’s NIght” staring some of the best up and coming young talent in the country, as well. The showcases meet once a month on the first Monday of the month at the Bitter end in the west village of NYC. The New York Songwriters Circle is the original showcase and in it’s 25th year, continuing today at The Bitter End. Avril Lavigne • Vanessa Carlton • Ari Zizzo (son), Jamie Lynn Sigler (Meadow Soprano) • Gabe Saporta (Cobrastarship) Interscope • Ducan Cummings (The Virgins) • Friday Night Boys Atlantic • Charlotte Sometimes Geffen Records/The Voice • Jesse Harris, The Cutting Room records • Lana Del Rey Interscope • Abigail Breslin (Little Miss Sunshine) Cassidy Reiff, Gabrielle Day Lewis. She was signed directly from The Circle and went on to have a huge Grammy nominated hits “ A Thousand Miles” and “Ordinary Day”. She also studied voice with Tina Shafer. The Story consisted of Jonatha Brooke and Jennifer Kimball who continued long after the band dissolved with critically acclaimed solo careers.